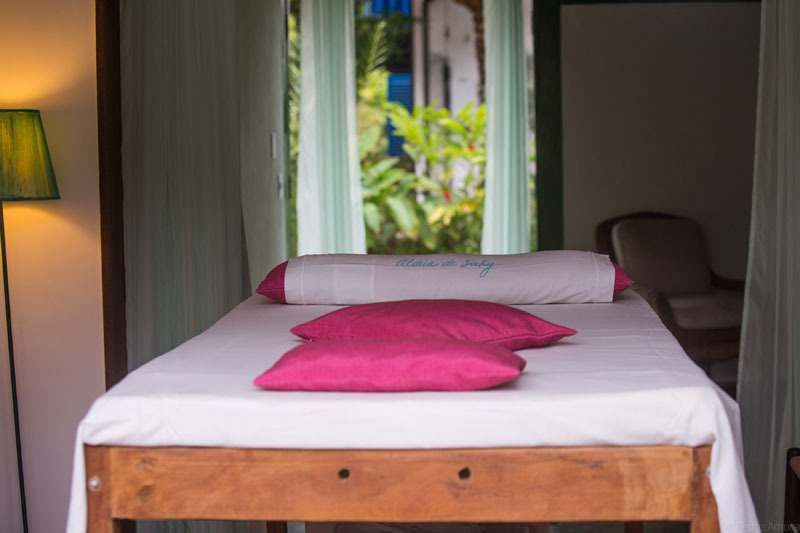 It is advisable to schedule your massage as soon as you reach the coast, so we can better serve you. Acting successfully with quality for nearly 20 years we are pleased to do the best for our customers. We offer a wide range of massages performed by qualified professionals and with years of experience in body therapies.. Check which therapist is available on the day, and what her specialties are. Relaxing massage and drainage are on the curriculum of all our masseuses so there is no need to specify. 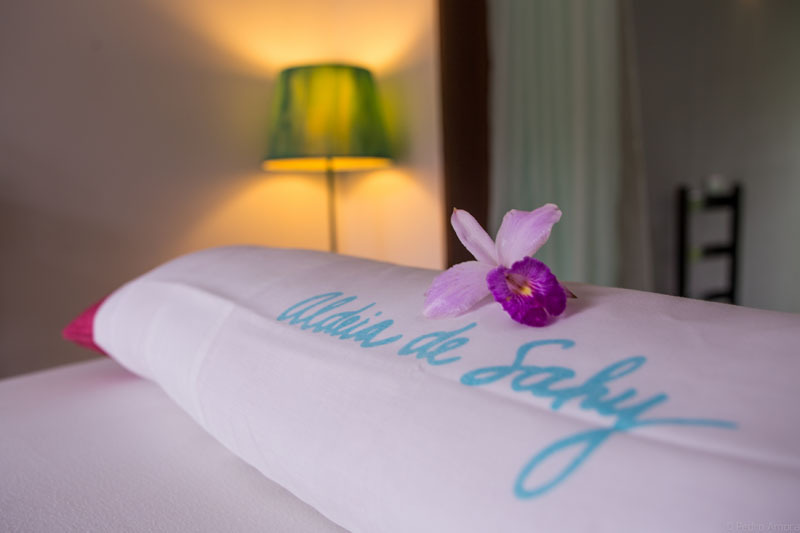 Special prices for guests staying at Hotel Aldeia de Sahy. Also open to visitors. works the energy channels of the body through pressures with the thumb and the palm of the hands. Mild stretching may be used. Shiatsu technique with special attention and focus on the symptoms common to pregnant women (such as nausea, back pain and swelling). It also gives the expectant mother a deeper contact with the new being that is about to be born. Ancient technique of Indian origin and an important branch of Ayurvedic medicine (meaning "Science of life" or "Conscious life"). Works with oils with essences all over the body. These oils, associated with specific movements, stimulate the "marmas" (vital points) and help to balance the three "doschas" - Vata, Pitta and Kapha - that correspond to the physical, energetic and psychological type of each individual. specific technique for spinal problems. This massage focuses on aligning the vertebrae and relaxing them gently. Our feet are our base, "root" of our body and where we find a series of points and nerve endings. Plant Reflexology aims to stimulate these points to help a better functioning of the organs and relaxation of the feet and the whole body. is performed with subtle and delicate touches on the head, spine and sacral bone, looking for a natural repositioning of the bone movements and consequence of the harmonic flow of the spinal fluid. It provides a deep relaxation and is indicated for a series of evils such as stress, menstrual cramps, Atm, Tpm, headaches, ringing in the ears, labyrinthitis, back pain, etc ...). (Lymphatic massage for circulation and cellulite): : massage that stimulates the lymphatic system, aiding the circulation and elimination of toxins, edemas and cellulite. 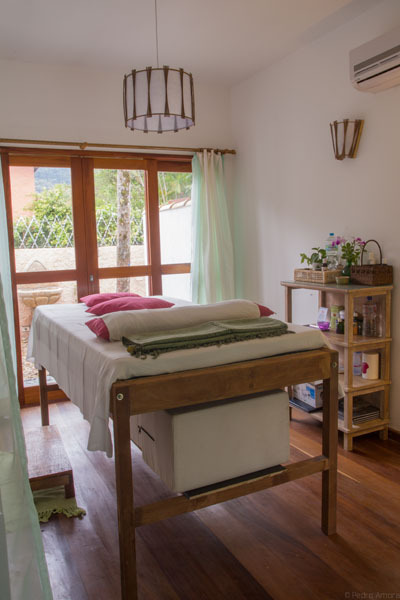 Lymphatic massage for pregnant women : massage that brings to the expectant mother all the benefits of lymphatic drainage but with some special care and attention to the needs of the pregnant woman, such as swelling, mastitis, pains in the spine (see shiatsu p / pregnant women). Therapy performed through the overlap of the hands of the therapist to activate, calm and mainly balance the energy of the patient. It is a subtle and loving work that leads one to a state of inner relaxation and peace. healing through aromas and natural essential oils that harmonize people and environments. Use the pendulum to locate energy imbalances and better realign them. Services canceled less than 3 hours in advance will be charged in full. Ofurô Bath. The baths are performed on special occasions and according to the therapist available in the period. 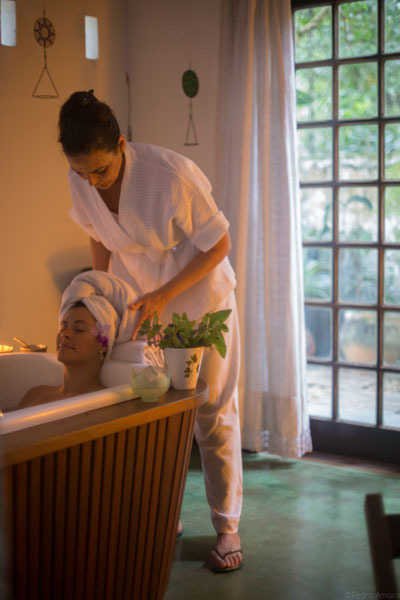 Bath of Japanese origin, where the person emerges in a special thermal bath with hot water, essential oils, flowers, herbs and medicinal plants planted and harvested in our own garden. The ambience of the hot tub room is beautiful, private and quiet, overlooking nature. Candles, incense and music are lit during the bath. A space that allows you to get in touch with yourself or relax in two in a new and enjoyable way (not to be missed by our Romantic Hot Tub for a couple). Suitable for relaxation, various types of healing, pain, stress, insomnia and depression. 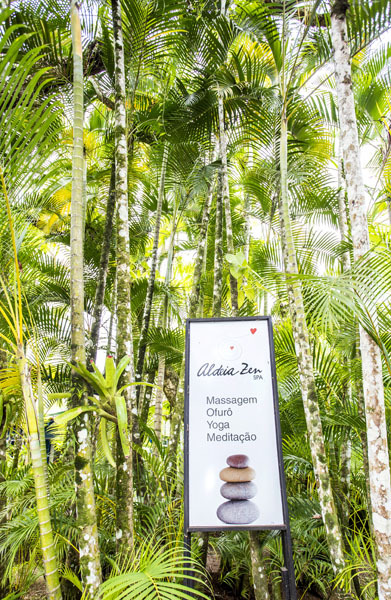 Very effective before or after a massage, thus accentuating its therapeutic effects. Only once a week, during the summer vacation period. Classes opened to all with stretching, posture, relaxation and breathing exercises. The desire to participate and openness to a new practice are the only necessary requirements.